How to tell if you are spodding right? Spodding is something that is really easy to mess up. You can’t see what is going on at the bottom of the lake or river, dozens of yard out. There are some real common mistakes that you can make or avoid when spodding for carp. Give the spod time to empty before reeling it in. Give your spod time to empty before reeling in. After you cast a spod out into the water, make sure that you give it time to empty before you begin reeling in.If you begin reeling in your spod too soon after casting you will leave a train of bait many yards long instead of creating a concise pile of offerings. Instead of concentrating the fish in one area you will begin spreading them out. This is anti productive. Let your spod sit before reeling. 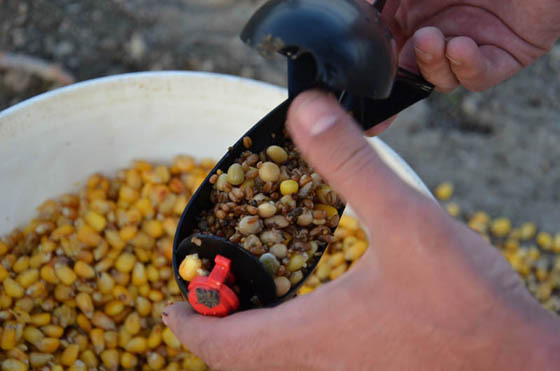 How much time varies a lot depending on your spod and the type of bait you are spodding. Pure deer corn takes a long time to fall out of the spod. Boilies and hemp seeds fall out very quick. With some experience you can quickly tell whether the spod is done emptying. Cast an empty spod out as far as you can. Let it sit for five seconds and then reel it in. As soon as you put tension on the spod it should start skipping easily across the surface. That is what an empty spod feels like. 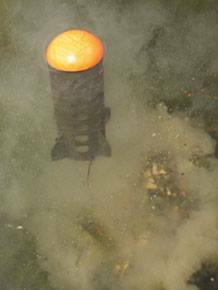 If you start to retrieve your spod and the spod doesn’t pop to the surface or if it feels sluggish then you are reeling in prematurely. Stop and like the spod sits. Occasionally, I will give the line a few twitches with a good long pause in between to help shake out sticky particle baits from the spod. If you cast your spod and bait flies out the back you will see a trail of splashes leading out to where your spod hits the water. This trail of bait causes the same problems as reeling in your spod too early. You creat a wide area of bait instead of a tight concentration of bait. This can spread the fish out instead of concentrating them. 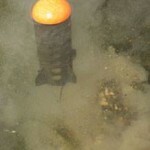 To prevent bait from flying out the back you can use a Spomb instead of a spod. Another trick I to only fill your spod 3/4 full and to gently pack the pack into the spod with your thumb. 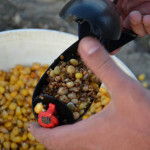 Some carp fisherman like to fill the spod 2/3 full and then pack a small layer of ground bait in the end to seal the spods back end.